I believe this functionality is also available on iOS devices. 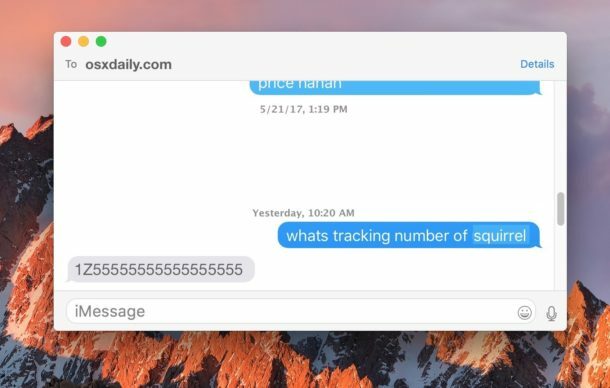 Also, parcel tracking numbers are not the only numbers recognized: macOS and iOS also recognize airline flight numbers. Is there an option to add it to your notifications so I can quickly take a look in the future? Why would you need to quickly take a look in the future? You look one time, see when your Luv Ewe is being delivered then wait patiently. That is a stupid question. Stupid? 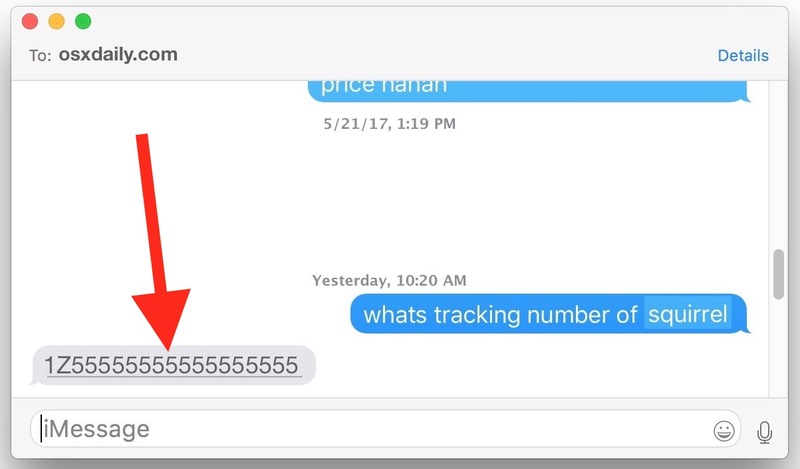 Why you think it’s called “tracking”? To look one time? Do you think looking at when it is being delivered more than once will make it get there faster? Is that what you thought of people who regularly check their parcel’s tracking information? Checking more often will tell you when to exactly expect your parcel, instead of just that it is on the way to arrive some day. Checking more often will show you when your parcel finally passes barriers like a country’s customs authority, which can delay a parcel’s trip and make it difficult to predict the delivery date. I always have tracking alerts via email, works just fine from that, no need for more text messages. 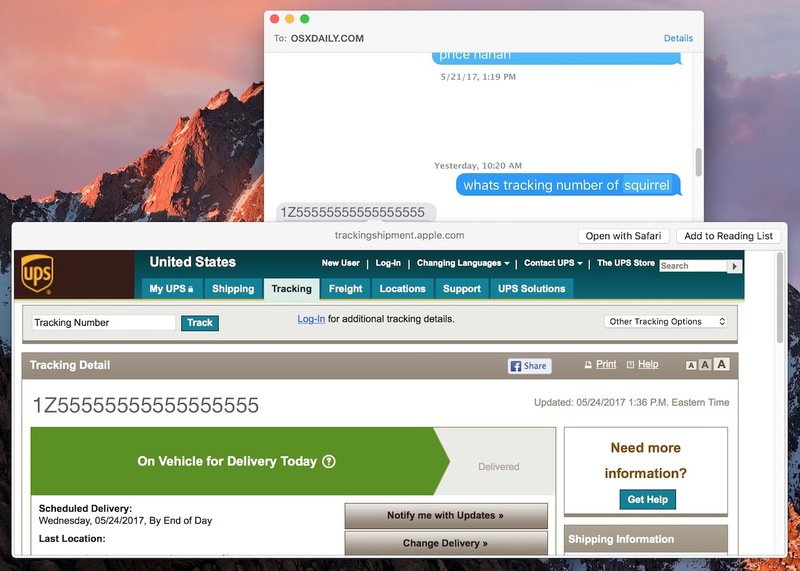 I’d rather use Deliveries, which synchronizes with iCloud, allowing it to work across my iOS devices and my Mac.